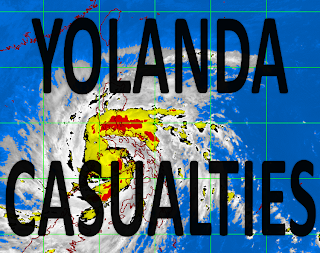 The death toll from Typhoon "Yolanda" (international codename: Haiyan) that ravaged Visayas rose to at least 1774 Tuesday, November 12, with hundreds injured and missing, the National Disaster Risk Reduction and Management Council (NDRRMC) reported. In its latest report, the NDRRMC said the biggest number of deaths came from the province of Leyte but many are still unidentified. As of November 12, 10:00 a.m., at least 1774 died in this area due to storm surge and strong winds. The following are the partial list of names of casualties who perished from the wrath of super typhoon ‘Yolanda’. This list is based on data from the National Disaster Risk Reduction Management Council as of noon of Nov. 11, 2013. Please refresh this page time to time to check out more updates. To check other list of casualties, please click here. 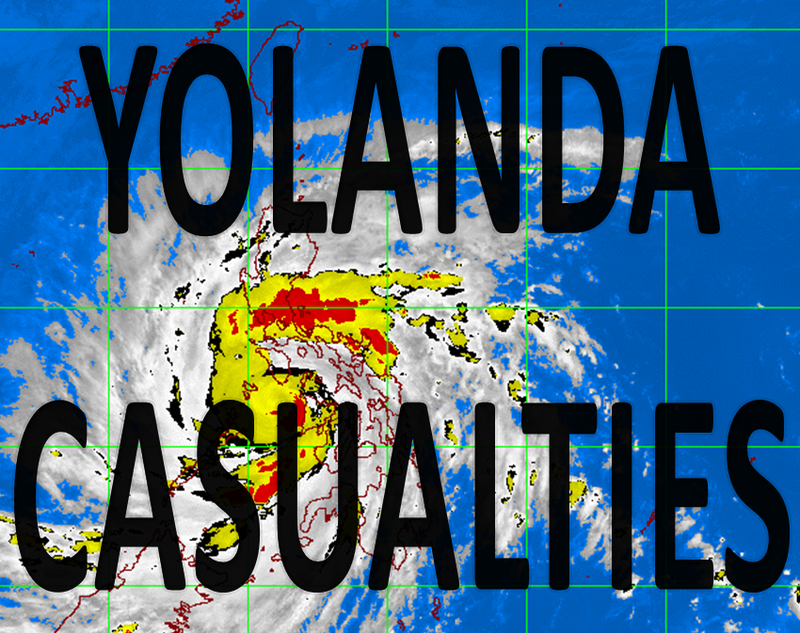 To know the list of survivors from super typhoon Yolanda, click here.